It’s hard to make it as a farmer. The costs farmers incur and the prices they command can swing wildly from year to year. So does the weather. To get by, they must think creatively about how to keep their balance sheets in the black. Some find that adding new sources of income can strengthen the long-term viability of their businesses. Diversification strategies are often simple, like expanding crop offerings or bundling produce into a CSA to reach a different clientele. More elaborate and expensive schemes such as event hosting, or expanding into value-added products like jams or pickles, can provide new revenue streams with fatter profit margins. Diversification is no silver bullet, though. Getting a new revenue stream up and running can come with significant up-front costs, and it’s not always clear if the investment will pay off. It’s also easy to underestimate the amount of time and labor it may take to get a new revenue stream off the ground. Small farmers — already wearing too many hats — can find themselves stretched thin. If done right, however, diversifying revenue streams can help squeeze more value out of existing land and infrastructure and smooth seasonal cash flow issues. New products reach new customers and raise the visibility of the business as a whole. As partners and owners of the small, locally sourced fermented vegetable business Hosta Hill in the Berkshire mountains of Massachusetts, Maddie Elling and Abe Hunrichs have brought quite a few products to market over the years. As Hosta Hill matured out of its everything-but-the-kitchen-sink experimentation phase, it zeroed in on the fermented vegetables that are now its main business. The couple raised money to build a licensed commercial kitchen. About three, four years into it, that’s when we narrowed in on the vegetable ferments and the tempeh,” said Elling. “We were meeting with a business advisor … he said, ‘Write a business plan, come up with a five-year plan, look at your numbers.’ That’s when we fine-tuned some stuff: Where do we want to go with this? Do we want to sell just in the markets? Do we want to expand into the Northeast? When we got our commercial kitchen, the goal was to go wholesale. This vertical integration could ensure a supply of the specific vegetable varieties best suited to their fermentation process while maintaining the sustainable, local sourcing that is a core part of their mission. 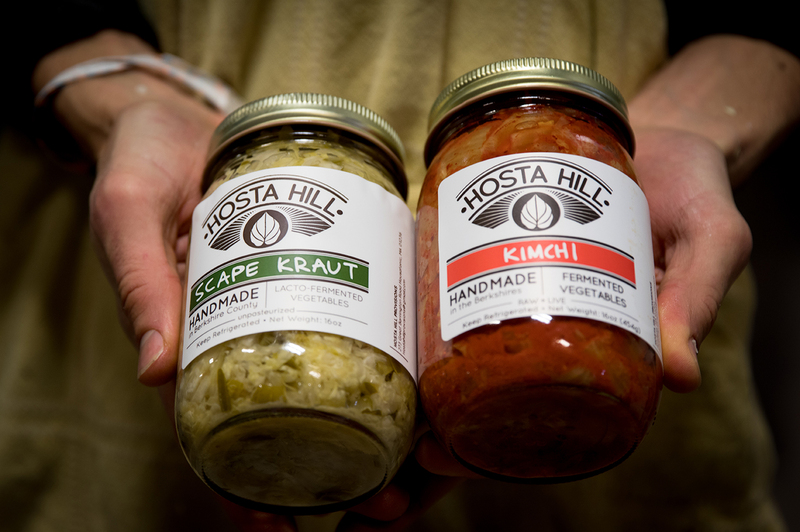 However, as the fermented products continued to drive revenues and farm production trailed behind, Hosta Hill decided to put a pause on farming, particularly after Elling and Hunrichs found out they had a baby on the way. The expansion of Hosta Hill’s ferments production and distribution took significant time to work out, and there simply wasn’t time to manage a field full of disappointing cabbages on top of their growing business and family. Hosta Hill has been growing quickly, and just moved into a new, bigger facility this past year. It now sources on contract from local, sustainable farms, but Elling maintains that a return to farming is still in the cards, at a less hectic time. A strong pine fragrance greeted me as I walked into the Tiny Hearts Flower Shop in Hillsdale, New York, as co-owner Jenny Elliott prepared materials for a Christmas wreath-making class. 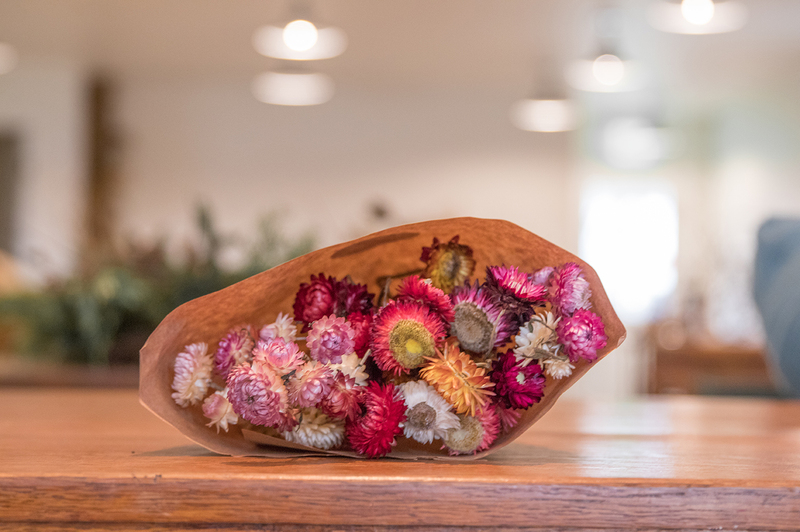 This shop, which just opened six months ago, is a grand leap into a whole new business model for Elliott and her partner Luke Franco, who are primarily farmers at Tiny Hearts Flower Farm down the road in Copake, New York. The flower shop wasn’t always part of the plan, but Elliott and Franco have always been nimble in adjusting their business model to suit the realities of the market. Like Elling and Hunrichs at Hosta Hill, they explored several products and felt out demand at farmers markets, selling vegetables before settling on flowers, which had better margins and less competition. 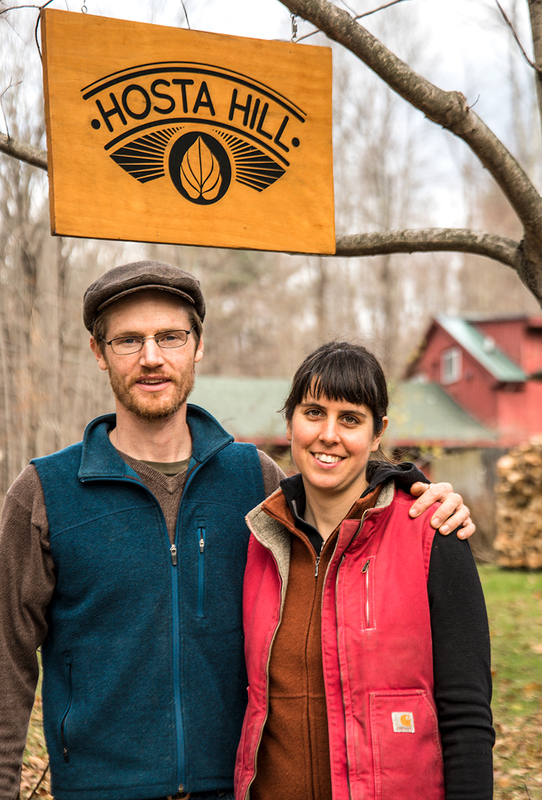 Elliott and Franco moved Tiny Hearts Farm up to Copake and began farming on a long-term lease at the Copake Agricultural Center. Since then, the two have steadily grown their offerings, sales and land under till. As business picked up, Tiny Hearts was approached by a local landlord interested in opening a flower shop. At first, they were hesitant, troubled by the same concerns that led Hosta Hill to pause their farming operation. Ultimately, though, Elliott saw the opportunity to grow the Tiny Hearts’ business and upgrade the brand by opening a shop. In addition to boosting established business, Elliott sees the flower shop as a vehicle for expanding into new revenue streams. Narendra Varma, co-owner of Our Table Cooperative in Sherwood, Oregon, knows about the trials and tribulations of diversification all too well. His farm and cooperative market have been through the ringer — expanding into new revenue streams, cutting losses when they don’t pay off, constantly tinkering with the business model to stay viable while still focusing on his core mission of providing local, healthful, sustainable food. “In theory, diversification should stabilize revenue over the year, but I’m not sure it does in practice,” said Varma. “All of these pieces add cost and add distraction as well; so it’s never as simple as that. There’s a reason why they teach you in business schools to focus on the one thing you do well and to only do that. Elling at Hosta Hill took a similar view. “Why stress out about that thing that’s not working? Let it go if it’s not profitable,” she said. But even when a new venture is not hemorrhaging money, farmers and business owners must consider whether it’s worth the time, or even the hassle and stress. That’s ultimately what led Elling to pause farm production. Good diversification strategies capitalize on existing strengths, like using land, crops or infrastructure a farmer already has. Additional revenue streams are best when they build off the business’ knowledge and customer base. They make sense on paper and also fit into the lifestyle the farmer wants. It’s a difficult needle to thread, but the payoff can be enormous. Alex Taylor is a Ph.D. science writer covering issues related to botany, agriculture and evolution. He received his doctorate in evolutionary biology at the University of Michigan for work on the evolution of plant-microbe symbiosis.